Situated near the airport, this aparthotel is 1.1 mi (1.8 km) from Fantasy Fair and 1.3 mi (2.1 km) from Woodbine Racetrack. Woodbine Centre and BAPS Shri Swaminarayan Mandir are also within 2 mi (3 km). A fitness center, a microwave in a common area, and a refrigerator in a common area are available at this smoke-free aparthotel. WiFi in public areas is free. Other amenities include self parking, conference space, and laundry facilities. Each apartment offers free wired Internet, a fan, and a shower. Amenities also include a desk and free toiletries. Humber College North Campus Residence features a fitness center, a vending machine, and a garden. Wireless Internet access is complimentary. This business-friendly aparthotel also offers a picnic area, complimentary newspapers in the lobby, and laundry facilities. Onsite parking is available (surcharge). 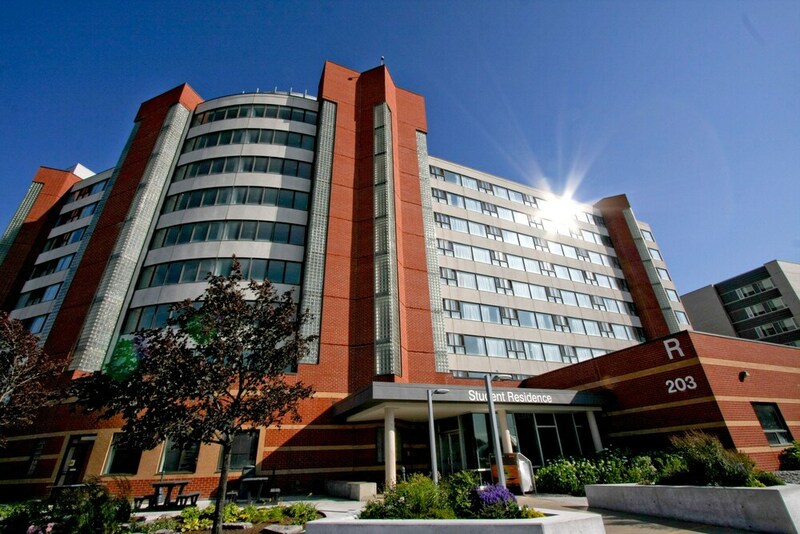 Humber College North Campus Residence is a smoke-free property. Starbucks - LRC Building - Onsite restaurant. Tim Hortons - E Building - This coffee shop specializes in American cuisine and serves breakfast, lunch, and light fare. Food Emporium - KB Bld - This delicatessen specializes in international cuisine and serves lunch and light fare.